Long time visitor but this is my first official post. I did do some prior digging but could not readily find a topic to a concern I am having. Long story short, I set the recording interval at 60 minutes before creating a new recording. I have two IP cameras and see two separate recorded files yet the recordings themselves are only 7 minutes long, yet the library view shows them at 3600 seconds, 60 minutes. H.264, no audio, standard bitrate and using internal_software decoding, I believe. If you go to the Library folder C:\ProgramData\Moonware\Netcam Studio\Server\Library and open the file there with VLC and some other software it behaves the same? After these seven minutes do the screen gets completely black, but you have the time counter running at the bottom? In the video player there is also a timer running. Is that continuing to run as normal so you can move to 45 minutes etc. If you set recording interval to 5 minutes no problems? Recording interval 10 minutes it gets black after 7 minutes? If it is exactly these 7 minutes maybe you can be at the computer at that time and see what happens? Run NCS X so you can have control. I am trying to figure out if it is a problem with the recording or if it is something that goes to sleep. I just started a 1h recording interval on my system and see what happens. Just tested with several 1h recordings and it works fine. 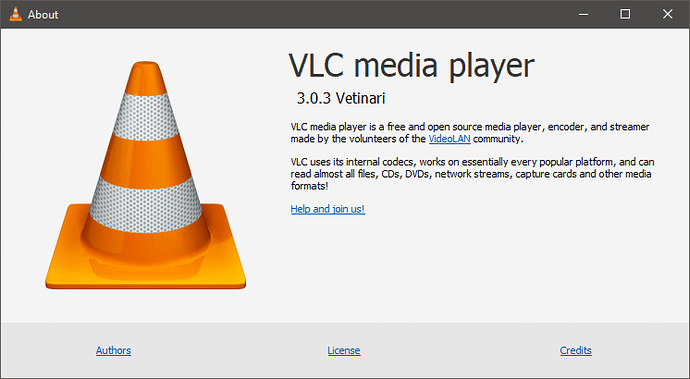 Problem is that you need to update VLC to the latest version 3. Then it will work. I set the recording to 60 minutes instead of 1 hour. The videos seem to be recording at random interval lengths with some being as short as a few seconds and others topping out at roughly 20 minutes. In regards to the actual footage, the list view on the phone shows recorded video at 3600s but the videos only play at whatever interval that was recored i.e. there is no black recording for the remaining time. I tried to upload a few more screenshots but being a new forum user I am only able to upload one at a time, my apologies for that. Please do not use the phone or anything else. Just use NCS X on the computer to minimize problems. I assume you use windows 10. What is the CPU load in the Task manager? If you use another player is it the same problem. Important, check the Recording Settings and the recorded FPS. What is it? When you write don’t use the preformatted text since the resulting text is difficult to read.